Mountaineering is a daring adventure that needs rigorous training and discipline. Not just a test of your bodies endurance to extremely hostile environments, but being able to adapt to low oxygen altitudes, spending nights in tents under – 30 degree Celsius temperatures or more and surviving on rationed food supplies are all part of a training before one heads out to scale a high peak. Rock climbing is ascending a rock face by just using your hands and feet with a safety rope. It is a basic capability needed before attempting mountain climbing. It is also growing as a standalone adventure sport. 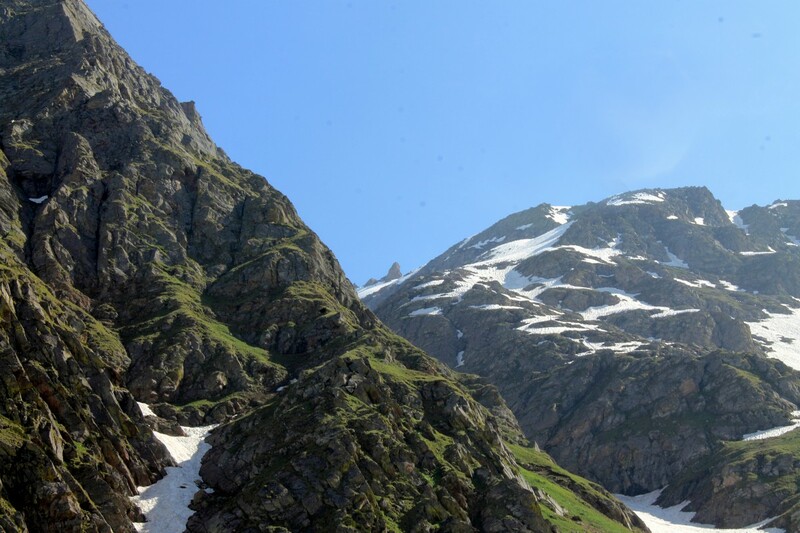 Several peaks in the Pir Panjal range, Dhauladhar and Greater Himalaya ranges that lie across much of western and northern Himachal are over 6000 meters high. Many such peaks in Lahaul are unnamed and unscaled. 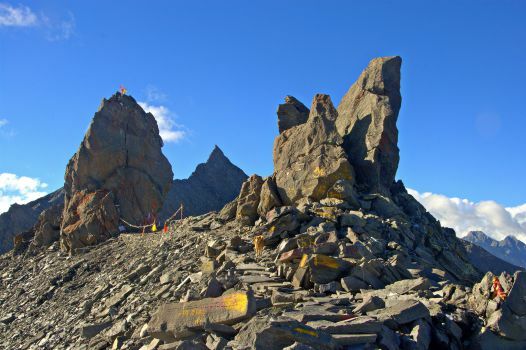 Some of the highest peaks of Himachal are Reo Purgyil 6,816 m, Rangrik Rang 6,553 m, Shilla 6,132 m and Gya 6,794 meters. In the mountains around Rohtang Pass, the Atal Bihari Vajpayee Institute of Mountaineering and Allied Sports, Manali (Kullu) conducts training camps as well as climbing excursions to Beas Kund, Patalsu Peak, Shitidhar Peak, Friendship Peak, Seven Sisters, Hanuman Tibba, and Deo Tibba. Training facilities, with basic, intermediate, advance mountaineering courses are conducted by Atal Bihari Vajpayee Institute of Mountaineering and Allied Sports, Manali (Kullu).